I’m reading David Copperfield at the moment; it seems quite appropriate with its references to Ham’s boat building and lots of travelling backwards and forwards between London and East Anglia. While the plot thickens, we occasionally get a chapter that is retrospective of the day to day life that Copperfield was living at the time of the action. I’ve just got to one such chapter and it promises to be melancholy in true Dickensian style. 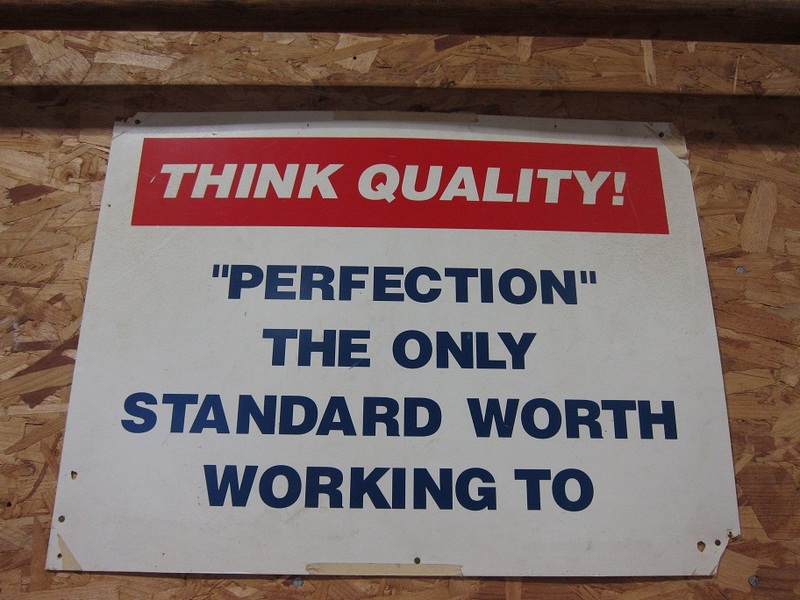 Meanwhile, we’ve now completed 6 weeks in the joinery workshop, which means that we’re half way through our joinery training, so a retrospect seems appropriate. Hopefully it won’t be a tear-jerker. The group are getting to know each other well now. 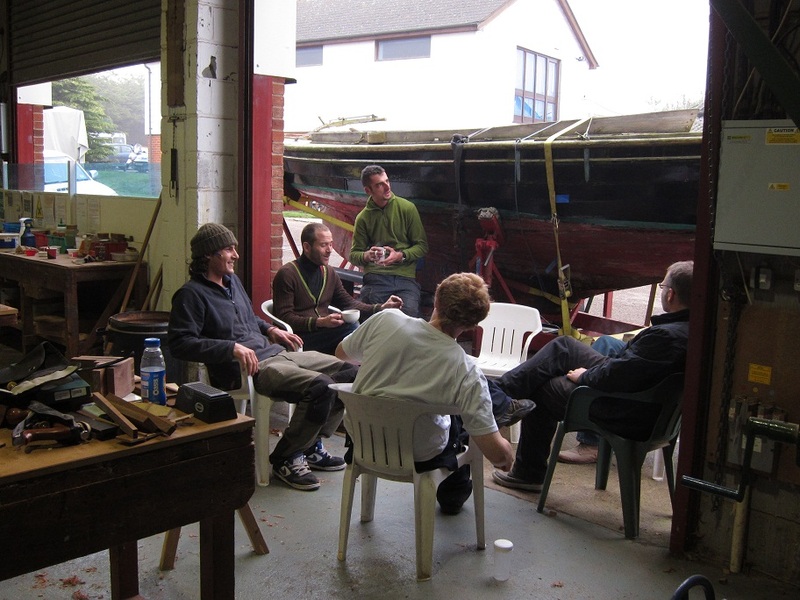 It’s not surprising that we have a lot in common as we’re all here for very similar reasons so we can go on about boats and old tools with some confidence that other people will be genuinely interested. We can cast a critical eye over each other’s work and share in the concern that everyone else’s work is better than one’s own. 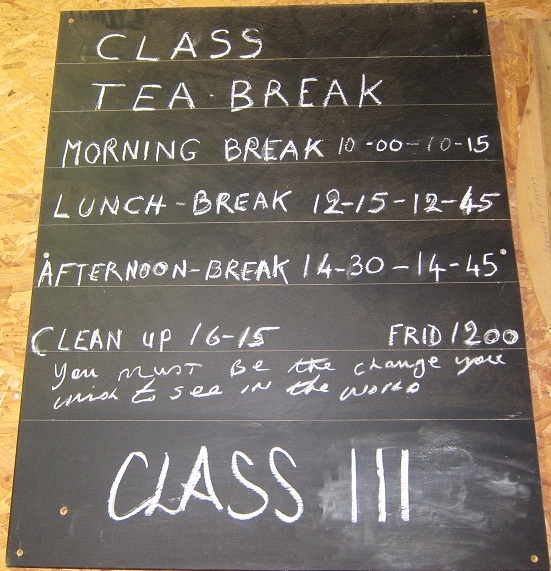 When’s the next tea break? I’ve adapted to life at the workbench. I no longer keep thinking that it would be nice to have a sit down now and again, and my crooked back magically straightened up after a couple of weeks. All day I do things with wood, except when I’m drinking tea. Meetings are a distant memory (except the weekly update on Monday mornings; I haven’t escaped completely) and a computer is something that I only see in the evening. The plasters on my fingers as I type this testify to the fact that I’m not fully at one with my tools yet, as do the many unique features of my tool box in progress. 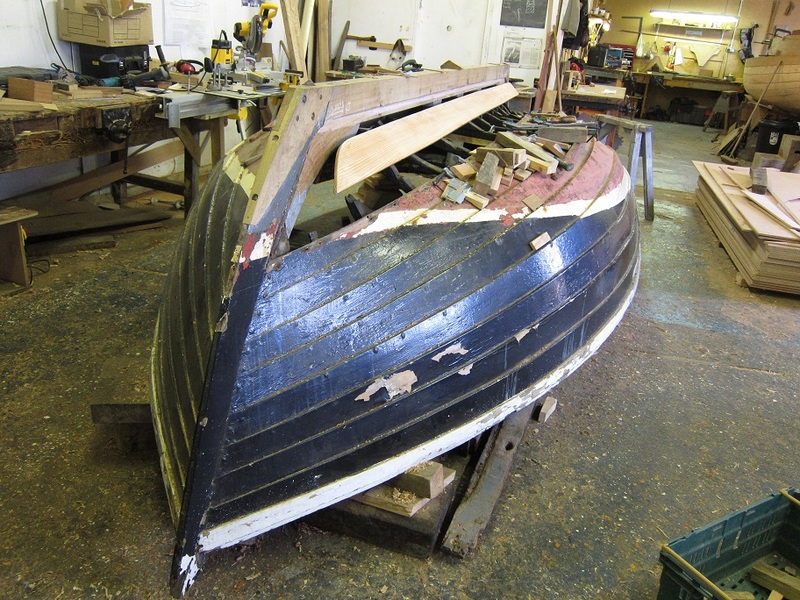 Twelve weeks in joinery before getting our hands on customer’s boats now makes a lot more sense. We’ve been making some proper boat joints this week. Plank scarphs which are what you would use to join planks together if the boat you want to build is longer than the planks of wood that you have, or if you want to replace a rotten section of a plank without replacing the whole thing. 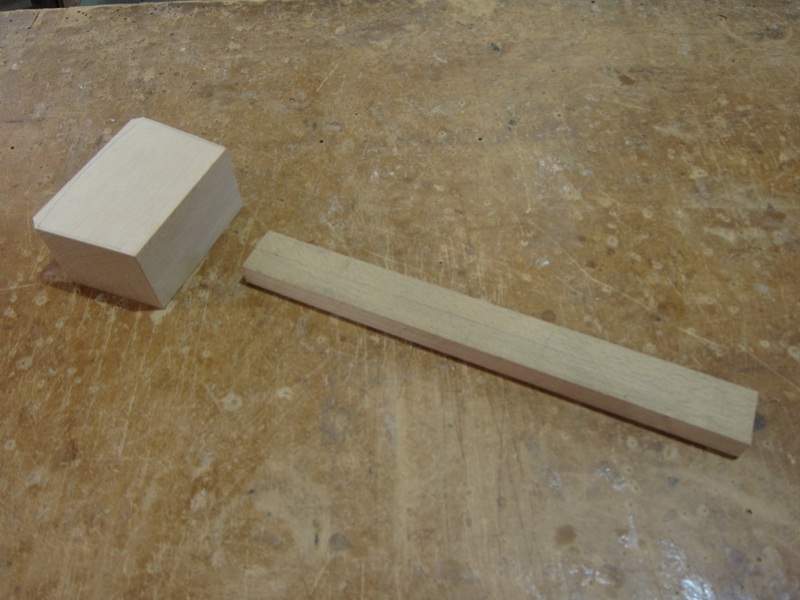 They consist of two tapered ends which have to fit together perfectly. That may seem obvious, but it’s easier said than done. ‘How flat is flat?’ is back to haunt me again. 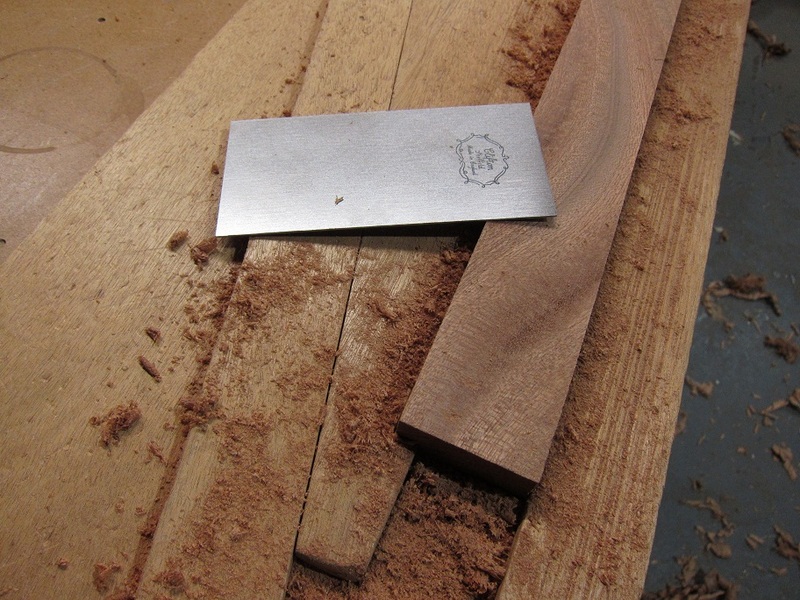 The tapers are cut roughly to shape and then planed within a nanometre of their lives. Then I try to match them together and there’s a tiny little wobble. But that just won’t do. 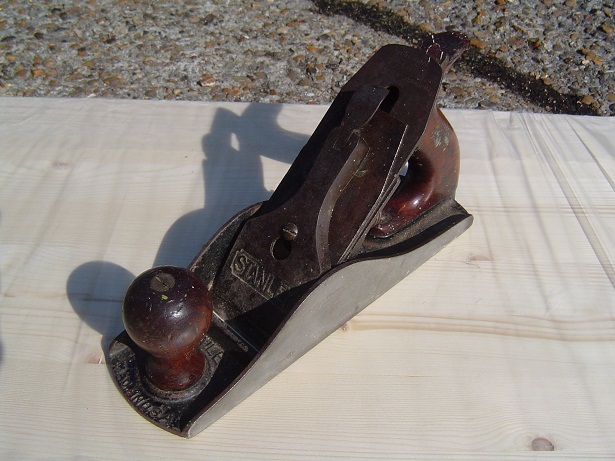 The strength of a scarph joint lies in the fact that there’s a large surface area of contact between the two planks. 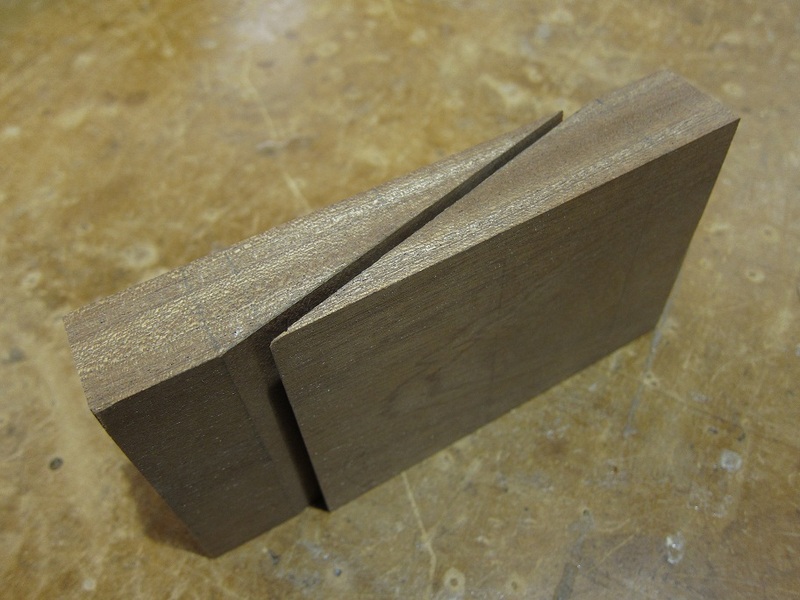 A bit of a wobble means that there isn’t, so the joint will be weak and let in water. So more planing is required. Then I find that I’ve done too much planing and the planks are no longer flush, so I have to cut it off and start again. It’s fun; really. I’ve completed two scarphs so far; a lipped scarph which would be used for a boat with carvel planking and a feather edge scarph which would be used for clinker. When you’ve mastered your tapering and become a scarph ace, you can’t put them just anywhere. Lloyd’s Register has rules about the use of scarphs in boat construction in order to preserve the integrity of the structure. If you look at the side of a wooden boat, any scarphs along a horizontal line must be at least 1.2m apart and in a vertical line must be separated by at least 3 planks, so you have to plan carefully where they go. 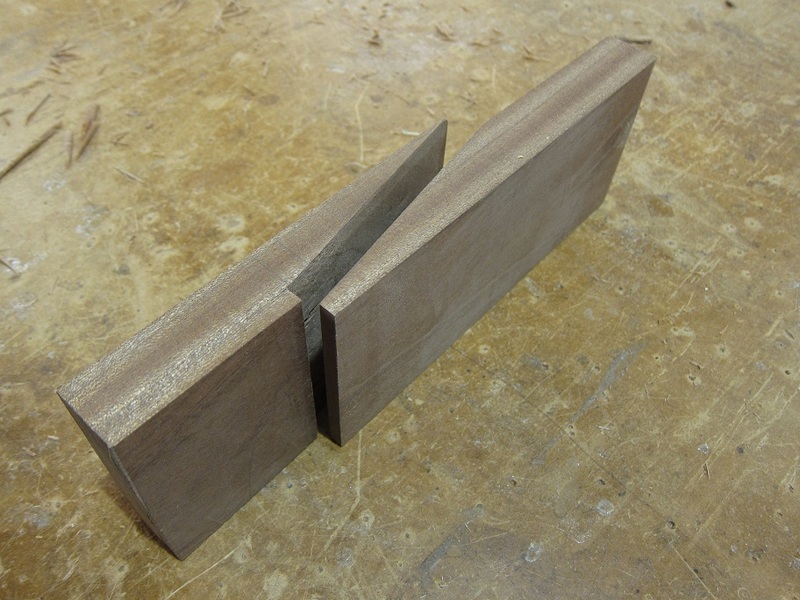 They have to be the right way round as well, if the outside lip isn’t on the trailing edge of the joint, then water could be forced inside the joint and open it up. I can’t claim to be a scarph ace yet, but I have got plenty of scars on the ends of my fingers and thumbs from the chisels. That’s my ailment of the week; at least I can stand up straight again though. It’s keel scarphs in the next thrilling episode (probably). In ‘A Walk in the Woods’, Bill Bryson describes his adventures walking the Appalachian Trail. After slogging along the trail for a week or so, he sees a map of the entire route hung on the wall of an outdoors supplier’s shop. The map is several feet long. He looks closer to see how far he has walked and gets a shock when he realises that he has walked about an inch of it. He can see for the first time how far he really has to go. I haven’t had to wade through waist deep snow or sleep in an open shelter in freezing conditions during my first week at IBTC, but I know how he felt. I now have my first inkling of what it will take to turn me into a boat builder. Where do I start? My tools need to become like extensions of my body, my use of them confident. I need to understand the construction materials, how the grain lays, how to work with different kinds of wood. Accurate marking up and precise cutting with well honed tools. I need this all to become instinctive so that I can produce high quality work quickly. Then I can start learning to build boats. It’s quite a trek. I won’t give away how Bill got on with the rest of the Appalachian Trail, but suffice to say that I hope I won’t be drawing on ‘A Walk in the Woods’ for many future posts. I’ve got a new language to learn; it’s the language of boat building. Reading around the subject, I’ve been using the glossary in John Leather’s ‘Clinker Boatbuilding’ as a guide. The first pass through was a little bit confusing, some of the definitions seem to be almost self-referential; take the definition of ‘sheer’ for example: ‘the sweeping curve of a boat’s sheerstrake upper profile.’ I felt that I needed to know what sheer meant before sheerstrake made sense; surely it shouldn’t be part of the definition without itself being defined? Digging deeper into the book, I discovered that the sheerstrake is the uppermost plank of the hull, and the meaning became clear; the sheer is the shape of the top of the hull. I clearly have work to do before I’m fluent in this new language. I found ‘scantlings’ in the glossary as well; I liked it because it has a satisfying ring of conciseness which is a guiding principle for this blog. John Leather tells me that the definition of scantlings is ‘A ship and boatbuilding term for the dimensions of the members of construction’. So I will know I’m a boatbuilder when I can build a boat from its scantlings. Three weeks to go. From Monday 10th September there will be no daily bike ride through London traffic to get to the office. No sitting at a desk. No computer. No weekly visit to the gym. No monthly salary. Regular mugs of tea will be my only link with my previous way of life. 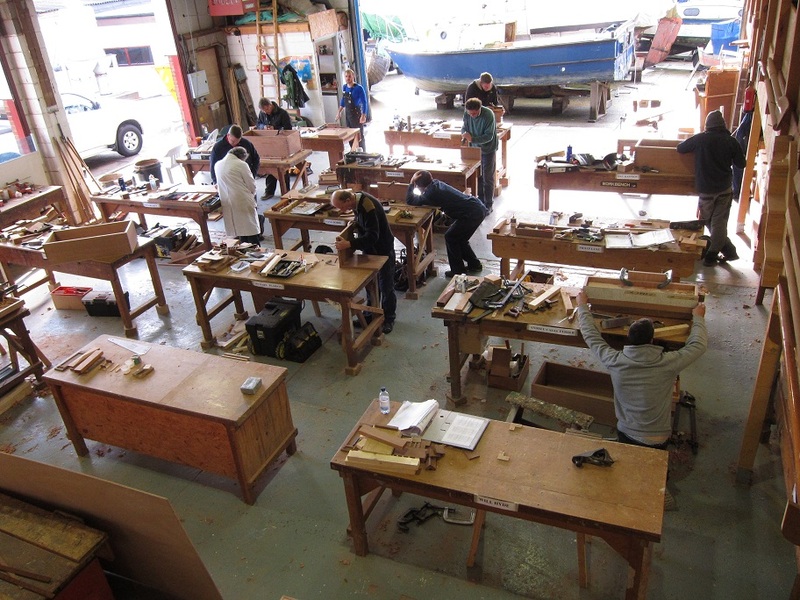 I’m going to learn to be a boat builder at the International Boatbuilding Training College in Oulton Broad, near Lowestoft. Maybe it’s a mid-life crisis; in fact that’s what it is. It feels like the right time to assess what I do, what I’ve done and what (I hope) I will do. I love making things and I love boats, so it seems to make sense. 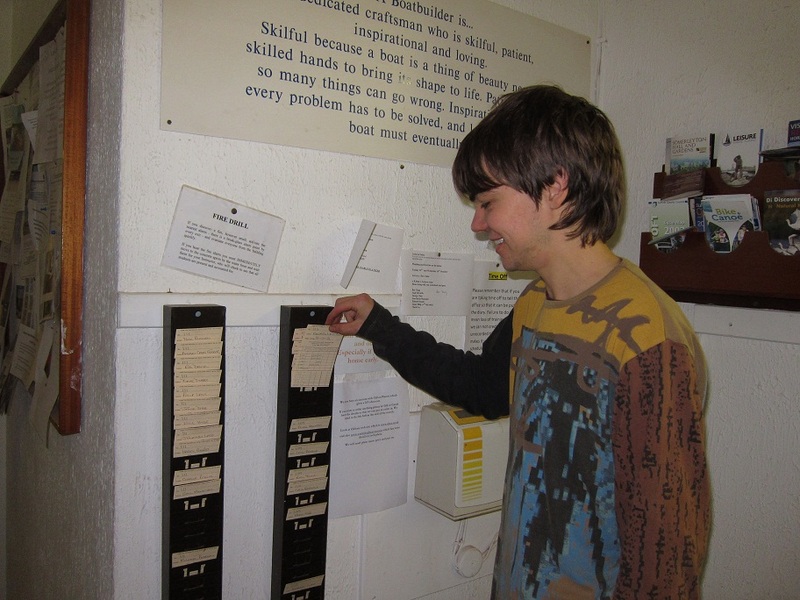 I want to do something useful for as long as I can, I want to get to the end of the day, the week, the year and know what I’ve done (rather that not being able to quite put my finger on it). 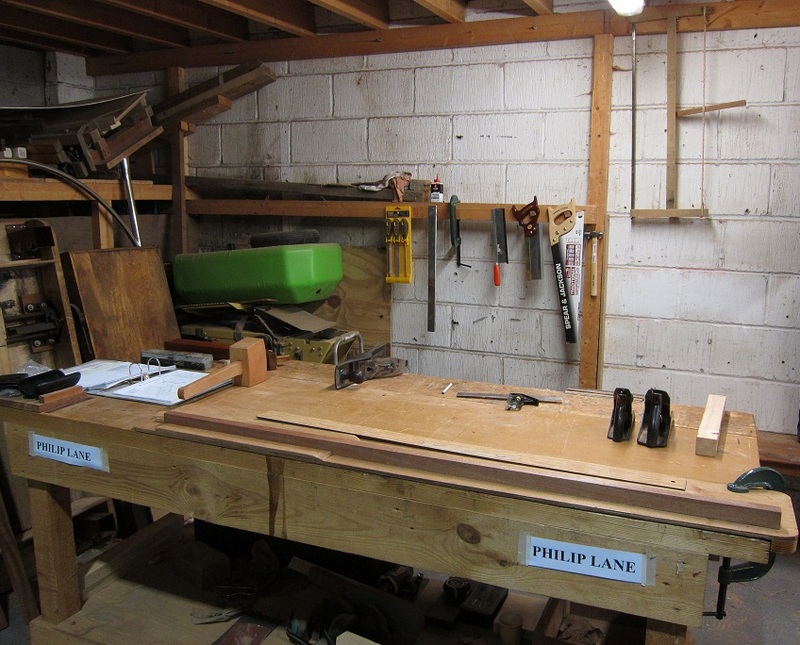 As the autumn comes along and the days get colder and shorter, i’ll stoop and build ’em up not with worn-out tools, but with well honed tools. Honing will be the theme of the autumn and winter this year. I’ll be honing my tools and honing my woodworking skills. Preparing to be a boat builder. But now I’m preparing to prepare to be a boat builder. 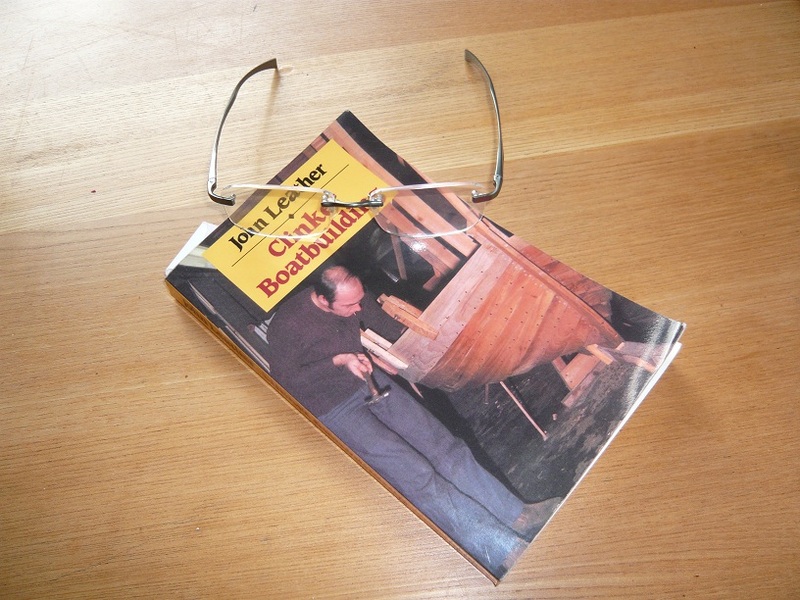 John Leather’s ‘Clinker Boatbuilding’ has given me some useful insights already and I’m sure will be a useful companion; he tells us in Chapter 1 that ‘sharpening tools is the first thing that a boat builder must know or learn by practice’. No doubt that’s where we’ll start in September. I just hope I’ve got the tools to sharpen.